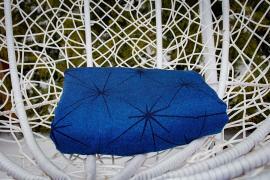 The color indigo is the color of intuition and perception. I love to look at it as it gives me serenity and let me dream. 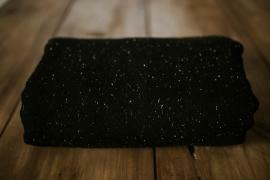 Aspen Midnight is so soft, moldable and easy to work with. 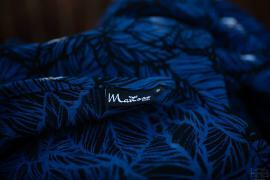 Japanese tsumugi silk is the new blend in our collection. For me is the perfect ratio of softness and grip. Beautiful grey and white nubs on black warp remind me of storm hence the name. 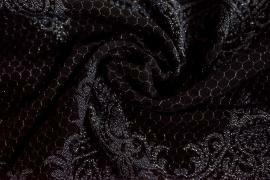 It's perfect as everyday wrap while still elegant and ideal for black dress. I have enough of this rainy Scottish winter, without colours not even mentioning snow. I need a spring, I need a summer, I need a sun. Two years ago about same time I had enough too :) and that's how design of Aspen came to my mind. I needed sunny spring and green leaves on the trees. After two years the green aspen is finally here and I really do hope the spring will come. Aspen Green is so soft, moldable and easy to work with. Stella del nord is combined of blue merino wool & deep navy combed cotton, made in double weave which makes wraps so soft and airy from the beginning exactly like a cloud on your shoulders. 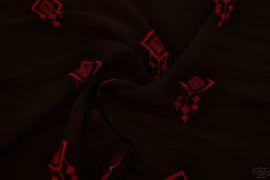 Bijou valentine's is combined of red and black cotton/wool made in our double weave which makes wraps so soft and airy from the beginning exactly like a cloud on your shoulders. 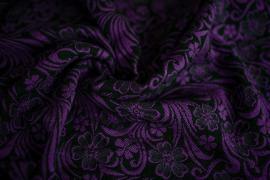 Primrose purple dream is combined of deep purple merino wool & black super combed cotton, made in our cloud weave (double satin - pocket weave) which makes wraps so soft and airy from the beginning exactly like a cloud on your shoulders. 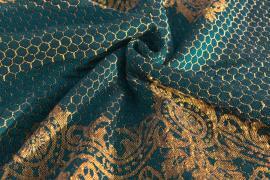 Venus Serenity is combined of deep emerald and gold tussah viscose made in our cloud weave (double satin - pocket weave) which makes wraps so soft and airy from the beginning exactly like a cloud on your shoulders. This wrap is very thin in hand and soft like marshmallow. Wraps are extremely limited only 4 wraps have been made! If you are interested please fill in the form which you can find in comment below. Ring Slings will be made to order to let you choose the colour of the rings. Aspen night at the seaside is combined of luxury, shiny teal cotton and black superfine merino wool, made in our cloud weave (double satin - pocket weave) which makes wraps so soft and airy from the beginning exactly like a cloud on your shoulders. I always weave some more fabric to make sure that everyone will get their wrap in first quality, today you can have a chance to grab the last pieces. 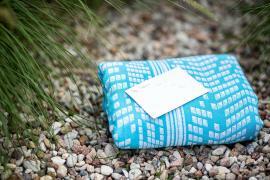 Please note that the wraps are be made to order so it might take up to 5 working days to despatch them. Venus Glamour is combined of deep dark grey cashmere twisted with glitter and black super combed cotton, made in our cloud weave (double satin - pocket weave) which makes wraps so soft and airy from the beginning exactly like a cloud on your shoulders. This wrap is my own DISO, my own dream wrap. When I opened semi custom few months ago I knew it's time to make the dreams come true. Toddlerworthy, Thick and soft as best blanket, exactly as I dreamt! 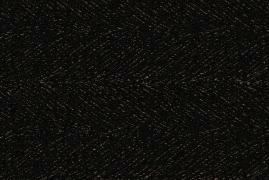 Black on black with lots of confetti looks like the sky full of stars. I always make some more fabric to make sure that everyone will get their wrap in first quality, today you can have a chance to grab the last pieces. Caver Regal is combined of grey confetti cotton and purple merino, made in our cloud weave (a kind of pocket weave) which makes wraps soft and airy from the beginning exactly like a cloud on your shoulders. 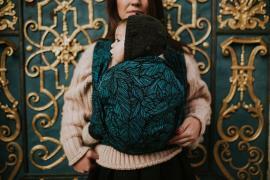 This is toddler worthy wrap so strong yet soft. Extremely limited edition only a few of them exist. 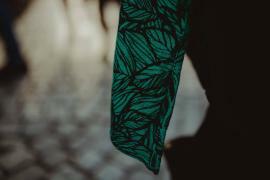 I choose mint tussah as I love this colour, it looks so fresh for me and it gives me the power. When autumn leaves falling down and everything seems to 'take a rest' during winter this mint reminds me that so very soon everything will wake up again, and again we will have nice colourful spring and summer. This is also what happens in life, which is not easy sometimes, life is life and we all have those better and worse days, but we need to remember how the sun always comes up after the storm. No matter how big the storm is, it never lasts forever. Sometimes it's raining every day for a few weeks, it's dark, cold and it seems that the sun will never back, but one day you will wake up in the morning and it will be such a wonderful sunny day, the sun will be shining in the beautiful blue sky. So please remember no matter how big your storm is now, it won't last forever!!!! Can you feel autumn in the air? In Scotland autumn started few weeks ago and you can feel the freezing air :( Trees are so colourfull like a true golden autumn and so here it is - golden autumn in the wrap. 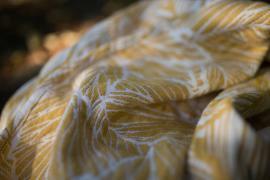 Aspen golden fall is combined of gold cotton and white silk / linen, made in our cloud weave (a kind of pocket weave) which makes wraps so soft and airy from the beginning exactly like a cloud on your shoulders. 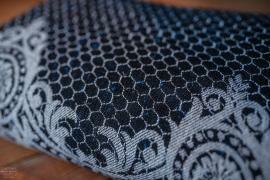 Cloud weave makes this wrap perfect for all, its like a bandage and needs just few ups to be unbelievably soft. We used natural silk/linen yarn so you might find irregularities in your wrap, as slubs, nubs etc. It is perfectly normal. City Iceland is combined of bright blue cotton and white silk / linen, made in our cloud weave (a kind of pocket weave) which makes wraps so airy from the beginning exactly like a cloud on your shoulders. We will make the order once the minimum has been reached. A non-refundable deposit of 50% is due when we reached the minimum. The final balance of 50% and shipping cost (£11 for UK and £15 for the rest of the world) are due from all members after about 4/6 weeks from the first payment. We will run up a few additional meters just to make sure that everyone can get first quality wrap. Any leftovers will be offer to the group firstly. IF then any LEFT we reserve the right to make a draw for it as our regular 'limited collections'. 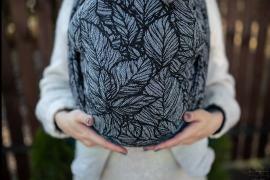 “Marisso Slings’’ is made of motherly love woven into baby slings, designed by a mum for mums. A house filled with family warmth, with the aroma of freshly baked homemade cake and brewed coffee wafting through the air, intertwining accompanied by with the joyful chatter of children and the sound of stamping little feet. A dream of love, happiness, peaceful life and a job which gives me a sense of satisfaction and fulfilment. My dream came true, I have everything I could have wished for, so now it’s time to follow my passion. I am a wife and a mother of two wonderful kids, and because of them and their need of physical closeness I learnt about the true magic of baby slings. 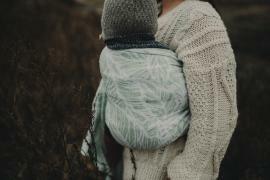 In fact, with time the slings have become my real passion that is where my passion for the baby slings began, and so when the idea of me designing dream baby carriers first flashed into my mind, I knew I was in the right place. I looked at my children and thanked them for the difficult times we have been through, because otherwise I would never have experienced the closeness and attachment created through babywearing. So that’s what brought me here today. And thus, I am here where I am and I am who I am. 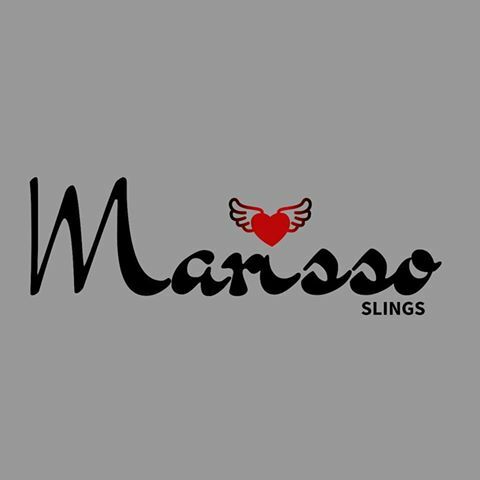 And this is how the new brand “Marisso Slings’’ was born - made of motherly love woven into baby slings, designed by a mum for mums. Will you join me in my dreams and the journey around the world so full of love?